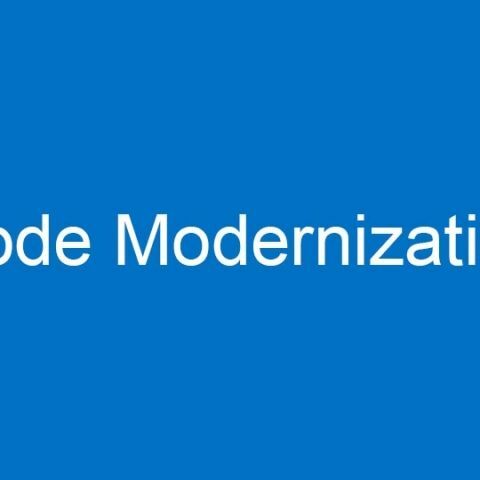 In this step we will look at how to modernize a piece of code through an example application. The provided source code is an N-body simulation, which is a simulation of many particles that gravitationally or electrostatically interacting with each other. We keep track of the position and the velocity of each particle in the structure "Particle". The simulation is discretized into timesteps. In each timestep, first, the force on each particle (stored in the structure) is calculated with a direct all-to-all algorithm (O(n^2) complexity). Next, the velocity of each particle is modified using the explicit Euler method. Finally the positions of the particles are updated using the explicit Euler method. N-body simulations are used in astrophysics to model galaxy evolution, colliding galaxies, dark matter distribution in the Universe, and planetary systems. They are also used in simulations of molecular structures. Real astrophysical N-body simulations, targeted to systems with billions of particles, use simplifications to reduce the complexity of the method to O(n log n). However, our toy model is the basis on which the more complex models are built. In this lab, you will be mostly be modifying the function MoveParticles(). Study the code, then compile and run the application to get the baseline performance. To run the application on the host, use the command "make run-cpu" and for coprocessor, use "make run-mic". Parallelize MoveParticles() by using OpenMP. Remember that there are two loops that need to be parallelized. You only need to parallelize the outer-most loop. Also modify the print statement in, which is hardwired to print "1 thread" (i.e., print the actual number of threads used). Compile and run the application to see if you got an improvement. Apply strength reduction for the calculation of force (the j-loop). You should be able to limit the use of expensive operations to one sqrtf() and one division, with the rest being multiplications. Also make sure to control the precision of constants and functions. In the current implementation the particle data is stored in a Array of Structures(AoS), namely a structure of "ParticleTypes"s. Although this is great for readability and abstraction, it is sub-optimal for performance because the coordinates of consecutive particles are not adjacent. Thus when the positions and the velocities are accessed in the loop and vectorized, the data has a non-unit stride access, which hampers performance. Therefore it is often beneficial to instead implement a Structure of Arrays (SoA) instead, where a single structure holds coordinate arrays. Implement SoA by replacing "ParticleType" with "ParticleSet". Particle set should have 6 arrays of size "n", one for each dimension in the coordinates (x, y, z) and velocities (vx, vy, vz). The i-th element of each array is the cordinate or velocity of the i-th particle. Be sure to also modify the initialization in main(), and modify the access to the arrays in "MoveParticles()". Compile then run to see if you get a performance improvement. Let's analyze this application in terms of arithmetic intensity. Currently, the vectorized inner j-loop iterates through all particles for each i-th element. Since the cache line length and the vector length are the same, arithmetic intensity is simply the number of instructions in the inner-most loop. Not counting the reduction at the bottom, the number of operations per iteration is ~20, which is less than the ~30 that roofline model calls for. To fix this, we can use tiling to increase cache re-use. By tiling in "i" or "j" by Tile=16 (we chose 16 because it is the cache line length as well as the vector length), we can increase the number operations to ~16*20=~320. This is more than enough to be in the compute-bound region of the roofline mode. Although the loop can be tiled in "i" or "j" (if we allow loop swap) it is more beneficial to tile in "i" and therefore vectorize in "i". If we have "j" as the inner-most loop each iteration requires three reductions of the vector register (for Fx, Fy, Fz). This is costly as this not vectorizable. On the other hand, if we vectorize in "i" with tile = 16, it does not require reduction. Note though, that you will need to create three buffers of length 16 where you can store Fx, Fy and Fz for the "i"th element. Implement tiling in "i". then compile and run to see the performance. Using MPI, parallelize the simulation across multiple processes (or compute nodes). To make this work doable in a short time span, keep the entire data set in each process. However, each MPI process should execute only a portion of the loop in the MoveParticle() function. Try to minimize the amount of communication between the nodes. You may find the MPI function MPI_Allgather() useful. Compile and run the code to see if you get a performance improvement. Does anybody know Best metal body phones in India ? Any softwares for simulation of vlsi programs other than ISE?